The Firstlght Albany Single Ceiling Light is in an Antique Brass finish. The Firstlght Albany Single Ceiling Light is in a Brushed Copper finish. The Firstlght Albany Single Ceiling Light is in a Brushed Steel finish. The Firstlight Albion Single Ceiling Pendant is in an Antique Brass finish. The Firstlight Albion Single Ceiling Pendant is in a Brushed Steel finish. The Firstlight Arcade Single Ceiling Light is in a rustic brown finish. The Firstlight Arcade Single Ceiling Light is in a chrome finish. The Firstlight Bali ceiling light is a modern, industrial design Chrome finish ceiling pendant. The Firstlght Bay Single Ceiling Light is in an Aluminium finish with clear glass. The Firstlght Bay Single Ceiling Light is in a Black finish with clear glass. The Oaks Bergan Linear Island Ceiling Light is in Black finish with insets of glass prisms. The Franklite Bistro 4 Light Linear Ceiling Light is in Antique finish ironwork with Matt Gold highlights and clear glass storm shades. The Franklite Bistro Single Ceiling Light is in Antique finish ironwork with Matt Gold highlights and a clear glass storm shade. The Elstead Brinley 3 Light Pendant is in an Olde Bronze finish with glass "jam Jar" shades. The Elstead Brinley Mini Pendant Light is in an Olde Bronze finish with a glass "jam Jar" shade. The Elstead Brinley KL/BRINLEY3 NI is in a nickel finish with glass jam jar shades. The Elstead Brinley Mini Pendant Light is in a Brushed Nickel finish with a glass "jam Jar" shade. The Oaks Callisto Large Single Ceiling Light is in a metal and leather finish. The Oaks Callisto Small Single Ceiling Light is in a metal and leather finish. The Firstlight Century Ceiling Light is a rise & fall ceiling pendant in a Brushed Copper finish. The Firstlight Century 2309BS rise & fall ceiling lightt is in a brushed steel finish. The Firstlight Century Ceiling Light is a rise & fall ceiling pendant in a White finish. The Franklite Charter Ceiling Light is a Chrome single pendant with an open wirework shade for maximum illumination. 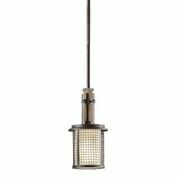 The Firstlght Classic Fisherman Single Ceiling Light is in an Antique Brass finish with clear glass. The Firstlight Clipper Single Ceiling Pendant is in a Rustic Brown finish. The Firstlight Crescent Single Ceiling Light Pendant is in an urban warehouse design and an Antique Copper finish. The Elstead Douille Single Ceiling Light Pendant is in an Aged Brass finish. The Elstead Douille Single Ceiling Light Pendant is in a Black and Polished Brass finish. The Elstead Douille Single Ceiling Light Pendant is in a Polished Nickel finish. The Firstlight Eden Ceiling Light is an IP44 rated splashproof single pendant in a Grey finish. The Firstlight Eden Ceiling Light is an IP44 rated splashproof single pendant in a White finish. The Firstlight Empire 3471 Single Pendant is in a Black finish with Antique Brass trim. The Firstlight Empire 5903 Rise And Fall Ceiling Light Pendant is in an Antique Brass finish with an opal glass shade. The Firstlght Factory 3 Light Linear Ceiling Light is in a Rustic Black finish, inspired by industrial fittings of the past. The Firstlght Factory 5 Light Linear Ceiling Light is in a Rustic Black finish, inspired by industrial fittings of the past. The Firstlght Factory Single Ceiling Light is in a Rustic Black finish, inspired by industrial fittings of the past. The Fisherman Single Ceiling Light Pendant from Firstlight is in an Antique Brass finish and is ideal for use above kitchen islands. The Fisherman Single Ceiling Light Pendant from Firstlight is in a Chrome finish and is ideal for use above kitchen islands. The Fisherman Single Ceiling Light Pendant from Firstlight is in a Copper finish and is ideal for use above kitchen islands. The Fisherman Single Ceiling Light Pendant from Firstlight is in a Cream finish and is ideal for use above kitchen islands. The Elstead Harrow Medium Ceiling Pendant is in a Polished Nickel finish with clear seeded glass. The Elstead Harrow Small Ceiling Pendant is in a Polished Nickel finish with clear seeded glass. The Elstead Hatteras Bay Extra Large Single Ceiling Light is in an Olde Bronze finish with a prismatic glass lens. The Elstead Hatteras Bay Large Single Ceiling Light is in an Olde Bronze finish with a prismatic glass lens. The Elstead Hatteras Bay Medium Single Ceiling Light is in an Olde Bronze finish with a prismatic glass lens. The Elstead Hatteras Bay Large Single Ceiling Light is in an Antique Copper finish with a prismatic glass lens. The Elstead Hatteras Bay Medium Single Ceiling Light is in an Antique Copper finish with a prismatic glass lens. The Elstead Hobson 3 Light Linear Ceiling Light Pendant is in an Aged Brass finish with Seeded glass shades. The Elstead Hobson Large Single Ceiling Light Pendant is in an Aged Brass finish with a Seeded glass shade. The Elstead Hobson Medium Single Ceiling Light Pendant is in an Aged Brass finish with a Seeded glass shade. The Elstead Hobson 3 Light Linear Ceiling Light Pendant is in a Satin Nickel finish with Seeded glass shades. The Elstead Hobson Large Single Ceiling Light Pendant is in a Satin Nickel finish with a Seeded glass shade. The Elstead Hobson Medium Single Ceiling Light Pendant is in a Satin Nickel finish with a Seeded glass shade. The Oaks Holen Single Light Ceiling Pendant is in a Black finish with rope detail. The Oaks Horten 4 Light Linear Island Ceiling Light is in a Silver Brushed Black finish with outer bars and an inner mesh. The Oaks Horten Single Ceiling Light is in a Silver Brushed Black finish with outer bars and an inner mesh. The Elstead Imahn Linear Island Ceiling Light features industrial characteristics with exposed piping in a Black and Natural Brass finish. The Elstead Imahn Single Ceiling Light features industrial characteristics with exposed piping in a Black and Natural Brass finish. The Oaks Kellen Linear Island Ceiling Light is in an urban Concrete finish with grey metalwork. The Oaks Kellen Single Ceiling Light is in an urban Concrete finish with grey metalwork. The Firstlight Kew Single Ceiling Light is in an Antique Brass finish with clear glass. The Firstlight Kew Single Ceiling Light is in a Black finish with clear glass. Industrial pendant lights have become a very popular choice of lighting where people require the warehouse, industrial look around the home, often the main room being the kitchen. Luxury Lighting offer a great selection of vintage, industrial pendants in many different designs, sizes and finishes to suit all styles.